Relocation of a child with a custodial parent is one of the most challenging elements of a divorce (or post-judgment action in a divorce). If the noncustodial parent objects to the relocation (or in more a legal term, removal of the child), the court had a difficult decision to make. Many parents come to mediation and discuss either immediate relocation or we always cover the process for what happen if a relocation is desired down the road. The NJ Supreme Court recently decided the case of Bisbing v. Bisbing. In this decision, the Court overturned its previous standard in the Baures case and has now changed the standard for removal or relocation back to the “best interests of the children” and remanded the case to the trial court to make that determination. Details are below (as are the factors in the previous standard, now lined through). 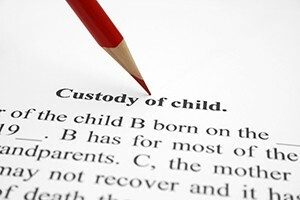 In this case, the couple mediated their divorce, including the custody of their twin daughters. In the marital settlement agreement (MSA), the couple agreed to joint legal custody with the mother being the parent of primary residence. This was stipulated based on the mother not relocating out of state. Six months prior to the MSA being entered as part of the divorce decree, the wife started dating a resident of Utah. Less than 9 months after the divorce, the wife called the husband to tell him she is marrying the man in Utah and requested his permission on the relocation. He said she could move but would have to leave the children with him. The wife then filed a motion that the trial court granted without a plenary hearing (a hearing with all parties present). She went on vacation to Utah with the children then relocated three days later. That the move will not be inimical (harmful) to the child’s interests. In the Bisbing case, the appellate court remanded the case for a plenary hearing using the Baures factors. The wife will also need to show that she entered into the MSA in good faith. In other words, did she know there was a good likelihood she would be moving to Utah at the time she entered into the agreement? Mediation is a good process to discuss a relocation and to see where there may also be room for compromise. If a court “makes the call,” one parent is likely to be very disappointed in the results and appeals are expensive. Mediation addresses the interests of the parties (including the children), not just the law which is all a court will look at. If you want to mediate your divorce, custody or any relocation issues with an experienced divorce and family mediator, please contact me.